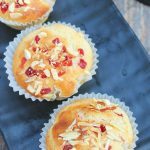 Eggless Tutti Frutti Muffins | Eggless Tutti Frutti Cupcakes : Easy, simple and basic recipe. Everyone from kids to grown ups would love these tutti frutti muffins! There are some basic cake/muffin recipes that stay popular throughout generations. 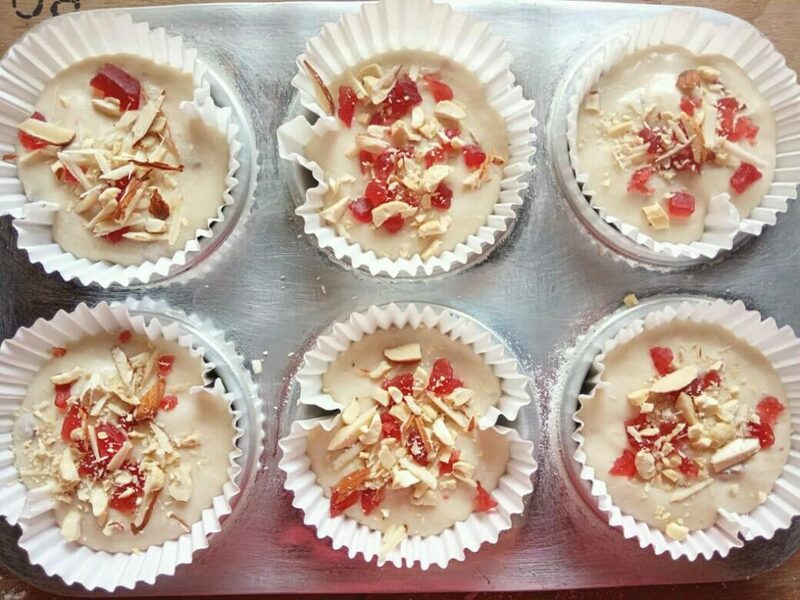 One such recipe is tutti frutti cake / tutti frutti muffin. The addition of tutti frutti just enhances the flavor of basic simple cake / muffin. 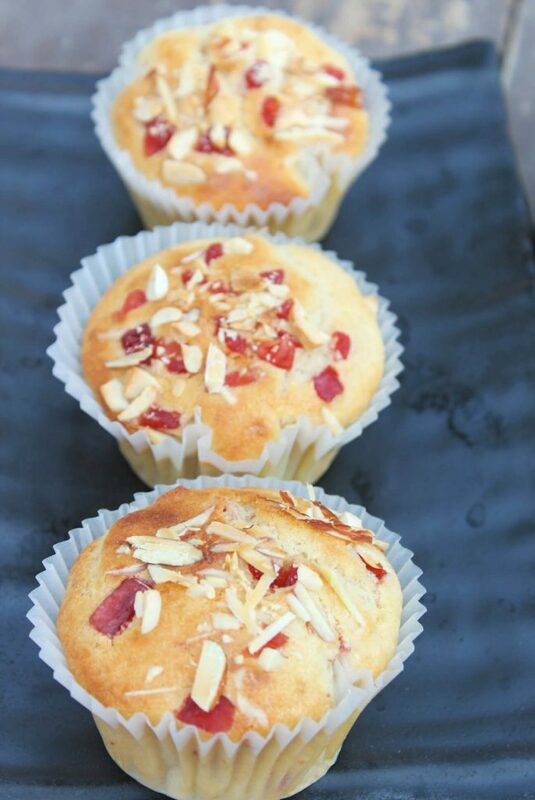 Tutti frutti muffins are perfect for tea time. It’s like the perfect combination. As it has a simple flavor, it’s ideal for serving to guests as well. 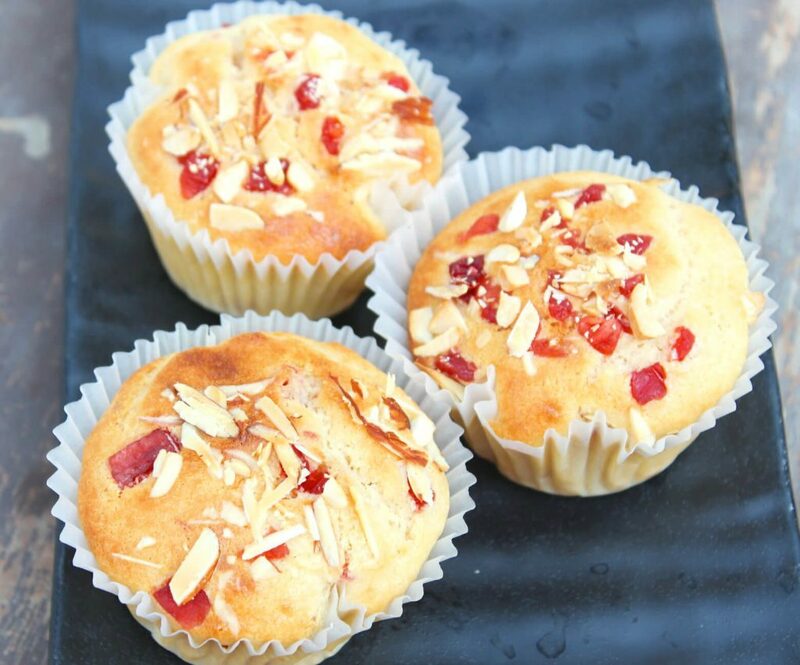 Today’s recipe is a simple eggless tutti frutti muffin recipe. The muffins are soft and incredibly moist. The texture is very light, just like it should be! 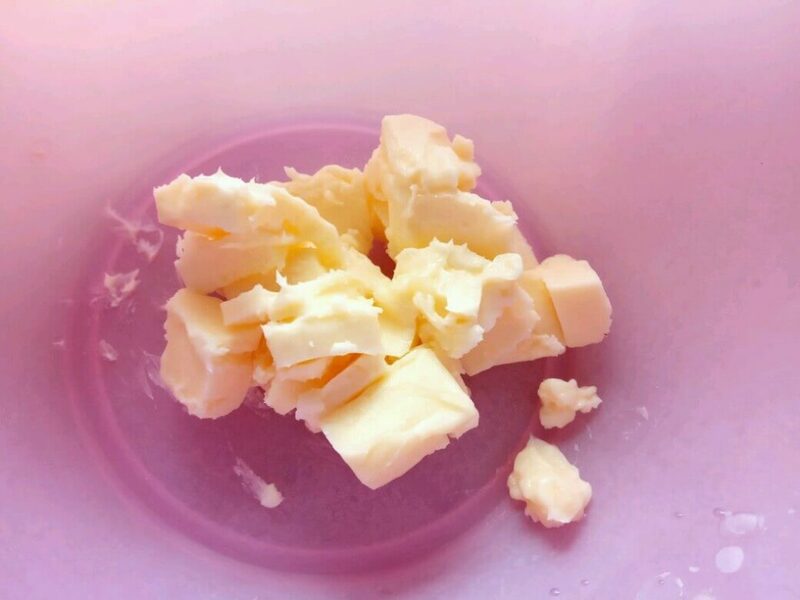 As usual butter should be at room temperature. It’s recommended to use powdered sugar as it mixes with butter in a better manner. If you don’t have powdered sugar, then simply prepare it at home. For this, add the regular granulated sugar into a blender jar and blend till you get a fine powder. Measure this and use. Milk Powder makes these muffins soft. Milk Powder is an excellent ingredient. 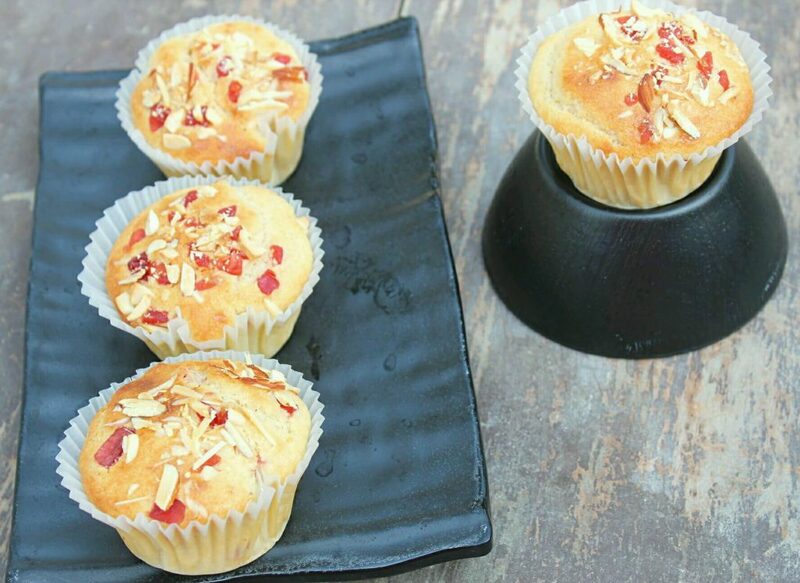 Due to the addition of milk powder, these eggless tutti frutti muffins have a soft and moist texture. 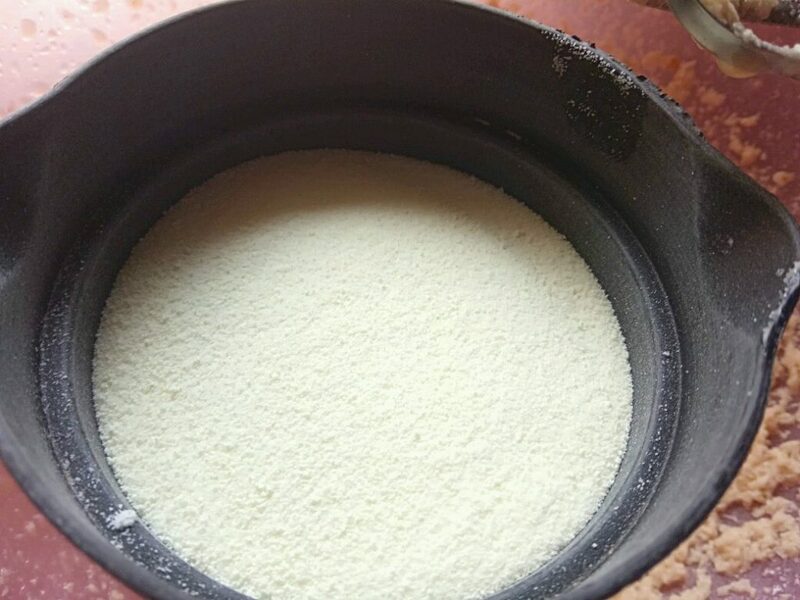 You can also use milk powder in place of liquid milk in case you run out of regular milk. Rest of the ingredients are the basic ingredients needed for cake/muffin recipes. 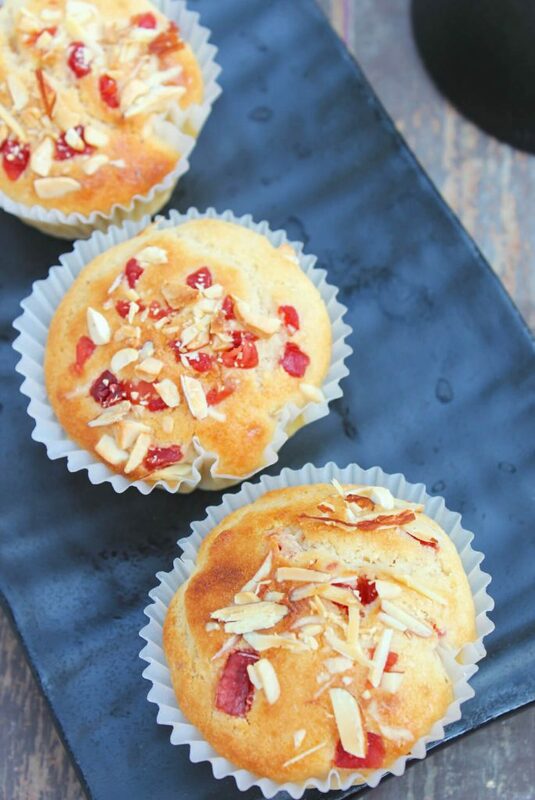 How to make eggless tutti frutti muffins? The recipe is quite easy to follow. 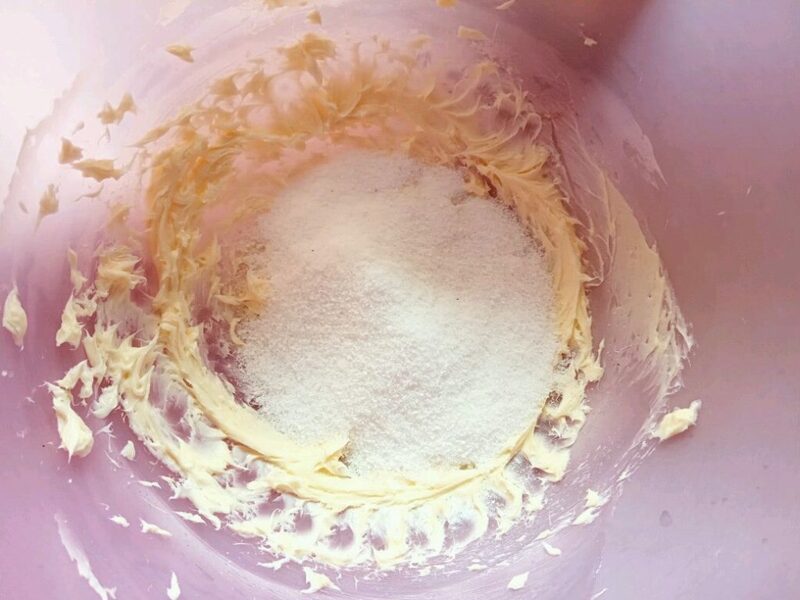 Add room temperature butter and powdered sugar in a mixing bowl. Beat for 2-3 minutes or till you get a light and creamy mixture. Add vanilla essence and milk powder. Mix nicely. In a separate bowl, put a sieve. Sieve maida and baking powder. Add tutti frutti and chopped dry fruits (optional) into the dry ingredients mixture. Mix with the help of a spatula. This is done to prevent tutti frutti and dry fruits from sinking to the bottom of the cake while baking. Mix dry ingredients with the wet ingredients. Don’t overmix the muffin batter. Add the muffin batter into a lined muffin tin. Fill only till 3/4th part of the muffin cavity. 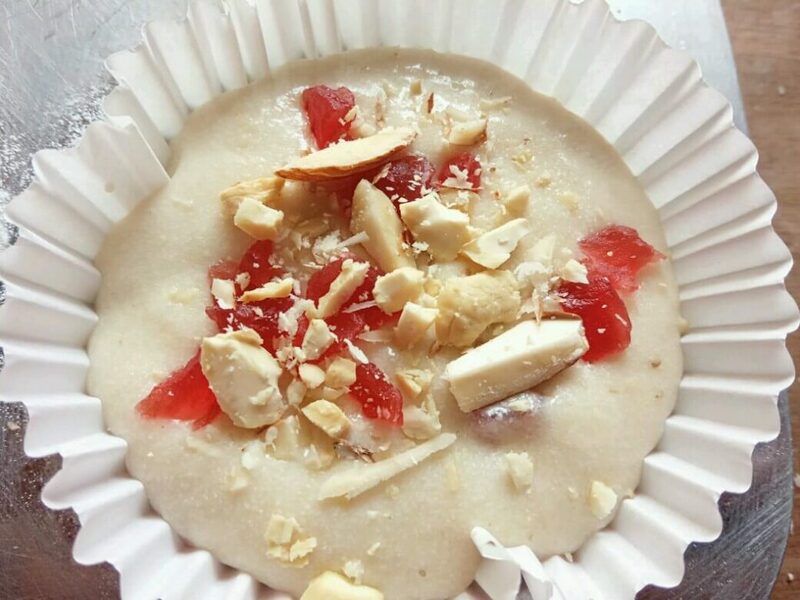 You can also add some chopped dry fruits and tutti frutti on top of the muffin batter for decoration. 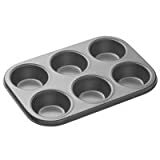 Bake the muffins in a preheated oven at 180 degree centigrade for 15-20 minutes or till a toothpick inserted into the center of the muffin comes out clean. 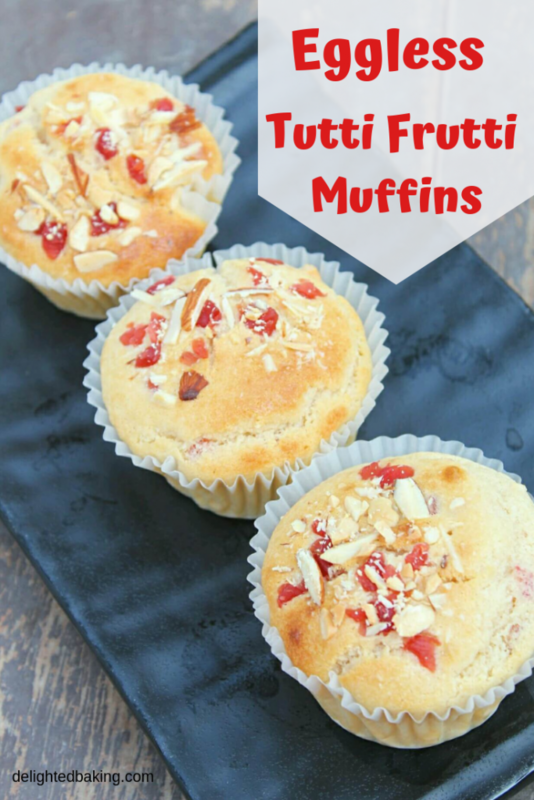 Enjoy your eggless tutti frutti muffins! 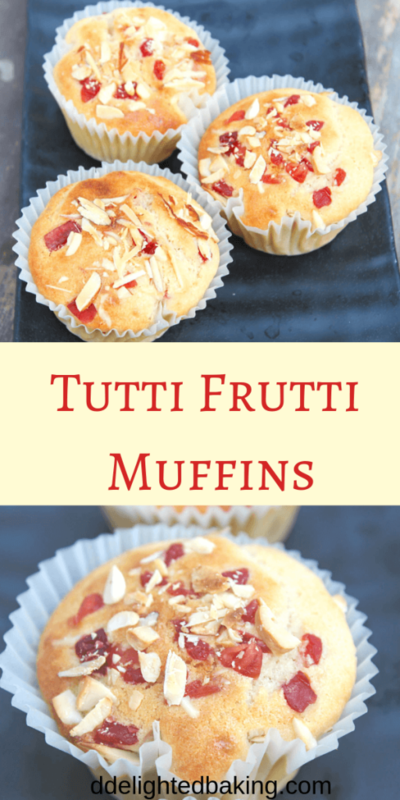 Easy, simple and basic eggless tutti frutti muffin recipe. Preheat the oven at 180 C / 350 F for 10 minutes. In a separate bowl, put a sieve. 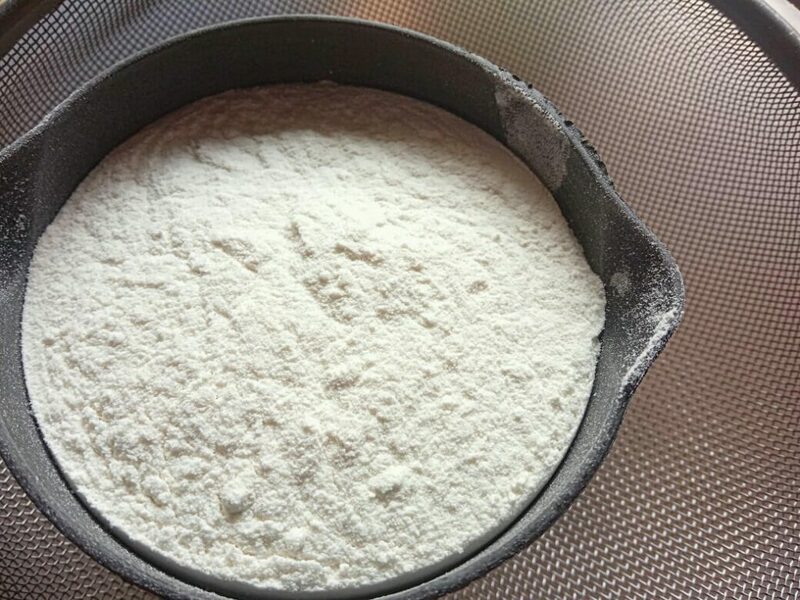 Sieve maida and baking powder. 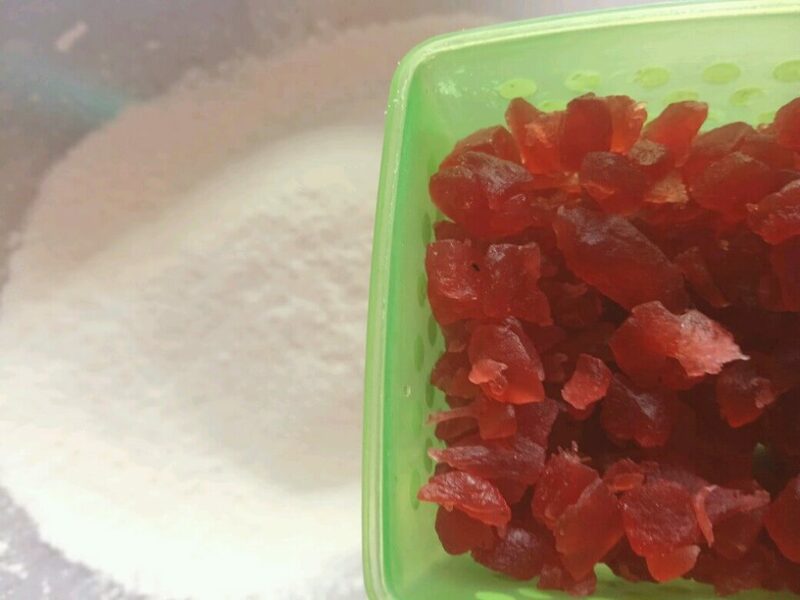 Add tutti frutti and chopped dry fruits (optional) into the dry ingredients mixture. Mix with the help of a spatula. 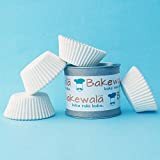 This is done to prevent tutti frutti and dry fruits from sinking to the bottom of the cake while baking. 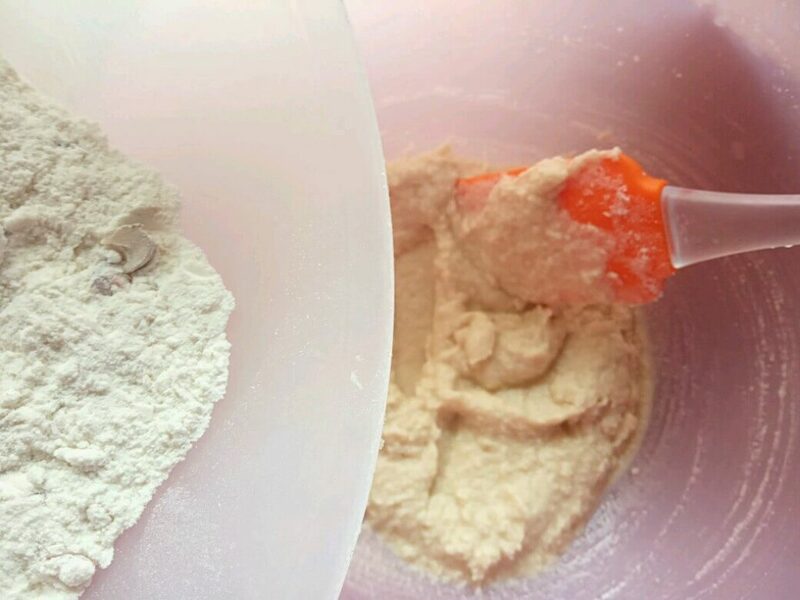 Mix dry ingredients with the wet ingredients. Don’t over-mix the muffin batter. This recipe was our FEBRUARY BAKING CHALLENGE recipe. 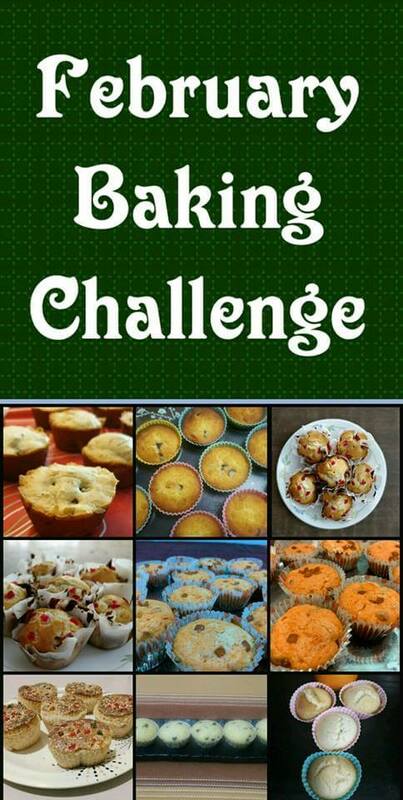 Every month, we have a monthly baking challenge in our Facebook Group. A new recipe is posted each month. All those who take part in the baking challenge, try the recipe. They share its photo in the Facebook group or on our Facebook page. All the best photos are then selected for the Monthly Baking Challenge collage and are posted in the recipe under the “Monthly Baking Challenge ” heading. February Baking Challenge – These muffins were loved by so many people. We had a great response for February Baking Challenge. This is special as February baking challenge (2019) was OUR FIRST EVERY MONTHLY BAKING CHALLENGE. And I didn’t expect such a nice response. 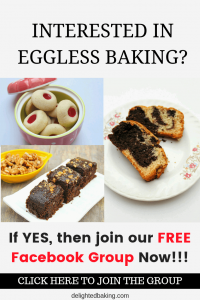 If you like this concept and are interested in taking part in future monthly baking challenges, then join our FREE Facebook Group. Like this recipe? PIN IT and share it with others.